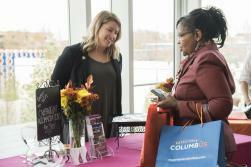 If you plan corporate dinners, meetings, retreats, reunions or events, the 2016 Columbus Event Expo is the show for you. 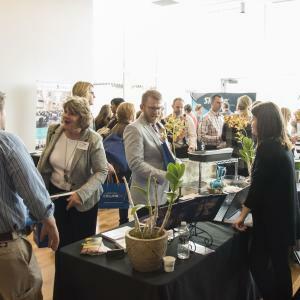 Presented by Experience Columbus and produced in partnership with Team Promotions and Extraordinary Events, the second annual Columbus Event Expo is the trade show of the year for anyone in the events industry. Join us on Wednesday, Nov. 9 from 3:30-6:30 p.m. to meet and experience the city&apos;s best food, entertainment, venues and rentals. This event will showcase everything you need to plan the perfect event, and will provide you the opportunity to gather new ideas and inspiration for future events alongside fellow meeting and event planners. Some of the finest hotels, best food and drink and most unique attractions in Columbus will exhibit all they have to offer for you and the guests at your next event. The Hilton Columbus Downtown is in an easily accessible location connected by skywalk to the Greater Columbus Convention Center in the eclectic hub of downtown&apos;s Short North Arts District, while Trapped Columbus is the only escape room in the city offering three unique, ever-changing escapes in one location that are perfect for team building. Mills James, one of the nation&apos;s most comprehensive creative media companies, will also be in attendance, as well as Smith and Wollensky, America&apos;s premier steakhouse. 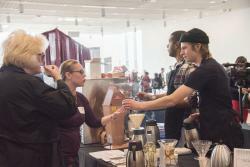 To learn more about the variety of exhibitors presenting at the show, visit experiencecolumbus.com/event-expo. The Columbus Event Expo is free to attend, and free parking is available on site. You are also welcome to enjoy a drink from the cash bar while you explore and navigate the tradeshow floor. The show will be held in the newest building of the Ohio Expo Center, Cardinal Hall, which opened in July 2016, and houses exhibit halls ranging from 12,500 to 75,000 square feet and six different meeting rooms to hold a combined 200 people. Cardinal Hall is the perfect venue for conventions, expositions and trade shows. Meeting rooms feature glass windows overlooking either the exhibit hall or the exterior of the building, dry-erase walls and built-in technology. The last day to register for the 2016 Columbus Event Expo is Wednesday, Nov. 9. Questions, contact Maggie Mecklenborg, CTA, Membership Sales Manager at 614-222-6153 or mmecklenborg@experiencecolumbus.com for more information.